Why does fat get such a bad rap? There are some legitimate reasons why, but fat is not bad in and of itself, your body needs fat. Fat provides the body’s largest stores of potential energy, fat cushions and protects our vital organs, and fat acts as insulation against the thermal stress of a cold environment. As usual, the problems arise when you eat too much fat. Fat legitimately gets a bad rap for two main reasons. First, fat is very calorie dense. One gram of a carbohydrate or protein only equals about 4 calories, while one gram of fat equals 9 calories (more than double). Fat calories can add up quick, so be aware. The second reason fat gets a bad rap is two-fold: animal saturated fats, and trans-fats. It is recommended that no more than 10% of your daily caloric intake be from saturated fat. A double cheeseburger at McDonalds has 11 grams of saturated fat or 99 calories. Eat two double cheeseburgers to bring in all the saturated fat you should get in a day (if on a 2000 calorie diet). It is important to remember that not all saturated fat is bad. Bad saturated fats are in animal proteins such as beef, chicken, pork, and dairy products. You can remove much of the saturated fat in animal products by eating lean meats, and manually removing the fat (paper towels work great!) when cooking because saturated fat is liquefied when cooking. Some plants contain saturated fat, examples are coconuts (including coconut oil, coconut milk), palm oil, and cocoa butter. It is generally believed that the saturated fats in plant sources is not bad for you so don’t worry about cutting out coconuts and products with coconuts, they’re perfectly healthy and good for you in moderation. Trans fats are, under all circumstances, bad for you and your health. You truly should look to totally eliminate trans fats from your diet. I rarely say that something should be totally eliminated from your diet, but trans fats are that bad for you, even in small amounts. 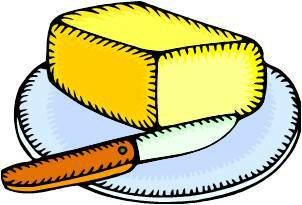 Trans-fats are formed during the manufacture of margarine and other vegetable shortenings. Trans-fats are also in fried foods, and many commercial baked goods. Trans-fats and excess animal saturated fats have similar effects on the body, mainly an increase in artery clogging LDL cholesterol. There are two types of cholesterol, LDL (clogs arteries) which is bad cholesterol, and HDL which is good cholesterol (cleans arteries). In addition to increasing LDL’s trans-fats also decrease HDL levels, so it has a double whammy effect if you will. It is now required for foods to list the amount of trans-fats in them, but if a food doesn’t have at least a half a gram of trans-fat it can be listed as 0 grams of trans fat. Check the ingredients of the foods you eat for the term hydrogenated. If you see the word hydrogenated, the product contains trans-fats. In conclusion, look to totally eliminate trans fats from your diet. At very least try to drastically reduce the amount of trans fat in your diet by reading labels, using butter instead of margarine, and steering clear of fried foods. Limit (but don’t eliminate) your consumption of saturated fats, and don’t worry about the saturated fats in plant products such as coconuts.